If you are in the market for sun protection vertical window blinds, roller blinds, unique wall decor or decorative wall decals online, Decoshaker is the place to be. To keep the sun out and comfort in, choose sun blocking materials on your new décor elements. To order, simply select the product in our website and choose the desired measurements. 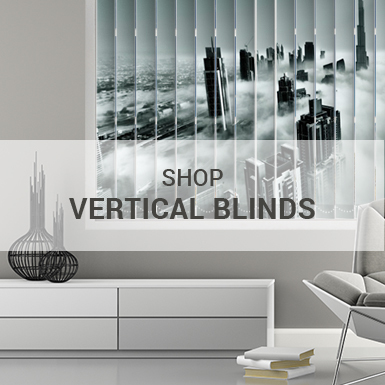 You can manipulate the scale and change various other features to create a perfect set of vertical blinds with sun protection. Sun blocking is one of the most wanted aspects of any interior. In Decoshaker, you can order vertical blinds or roller blinds made from specific materials and at appropriate sizes, to suit each and every interior. 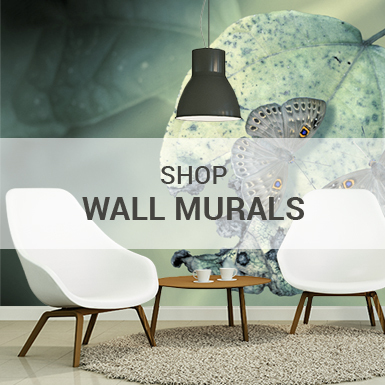 By having such a huge collection of decorative wall decals we can offer you the best prices in the market without having to compromise on quality or other parts of our services. 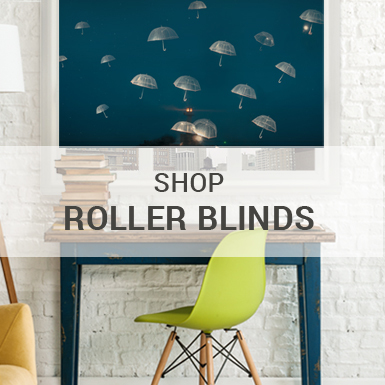 To ensure good sun protection for your rooms, you can purchase roller blinds which are made from ergonomic and modern materials to minimize sunlight and heat passage. If you have extravagantly shaped windows, it is no problem for us, we will arrange the right size window blinds and accessories to make your vision into reality. For unique wall decor, a different solution in order to keep sun out is wall murals or decals. They can protect your rooms from heat and/or uncomfortable conditions that might haunt you if these features are not installed. Interior designers would recommend costly and time-consuming decisions of massive overhauls or redecorations of the entire space, while you might not need that at all. With us, you can make a decision all by yourself, without outside influences. One of the best plans for walls is decorating them with advanced materials that break the current standards of comfort. When it comes down to colour palettes and patterns or textures that are available, the situation just keeps on getting better. With thousands of designs available for all products, it is a sure fact that homeowners will be able to find exactly what they were looking for. In addition, you can even make custom products and transfer your design ideas onto the canvas to make a product completely unique and special. Wall decorations spice things up – big time! New wall décor is visible, noticeable and can provide positive emotions and add a ton of different positive features to your household. Blinds and window treatments might not be as visible at first, but once you get to the bottom of it, things become clear and effects of a mix-up in your interior only make things better. So many designs are available for choice and you can cut, crop and adjust the products to compliment current environment and interior pieces dwelling in your home. Pick smoother tones for a more relaxed look or switch things up completely by choosing active, vivid and expressive colours or patterns to attract attention to certain pieces. To order one or each of these unique wall decor or window blinds products, simply go to the design that you like, select it, configure the parameters, such as size and picture cropping along with many other features and create the perfect layout and design of wall murals or vertical blinds that will surely make a solid addition to the home you live in. Size is completely adjustable on Decoshaker. Any buyer can crop, adjust and scale the product to make it fit on their windows, glass doors or other objects in need of covering. Choose different, choose unique wall decor and window treatments from Decoshaker online! Contact us!